Today as we left Arno Bay the wind was giving a very strong farewell, but the closer we got inland the less the wind was pushing us along. Our first stop was in Cleve, which had some nice art throughout the town. Heading further north our next stop was in Kimba, which is the halfway across Australia point from Sydney on the Eastern shores to Perth on the Western shores. 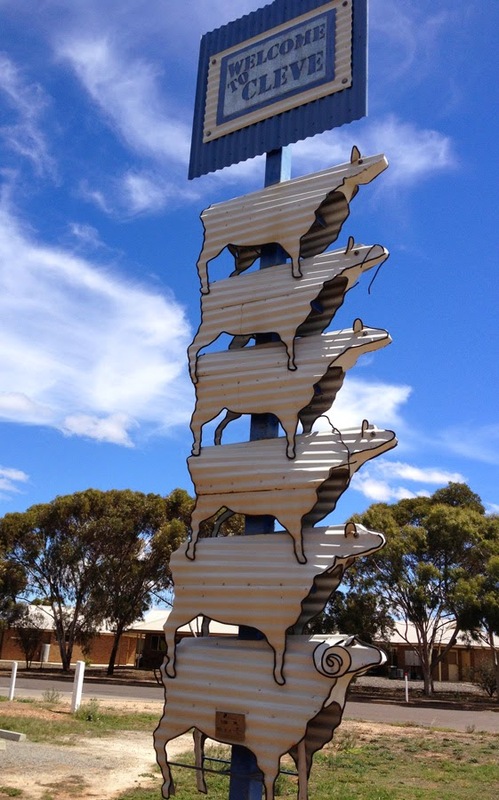 It is also home to one of Australia's "Big Icons". 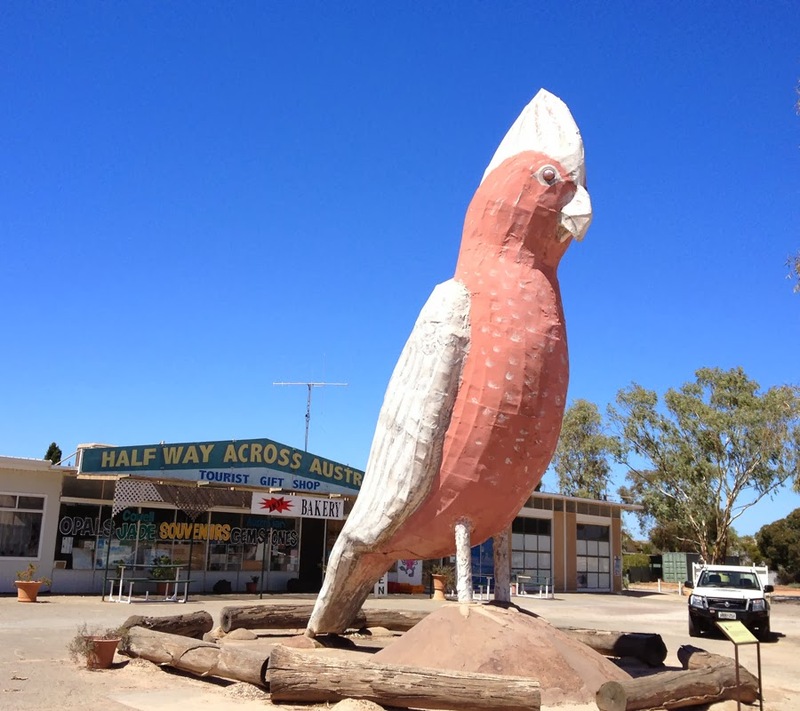 Kimba's "Big Galah" stands 8 metres tall and was erected in 1993 by the Venning family who still own the "Halfway Across Australia Gem Shop". One year as an April Fools Day joke an egg was placed in the nest, so we an assume with that evidence the Big Galah is female. 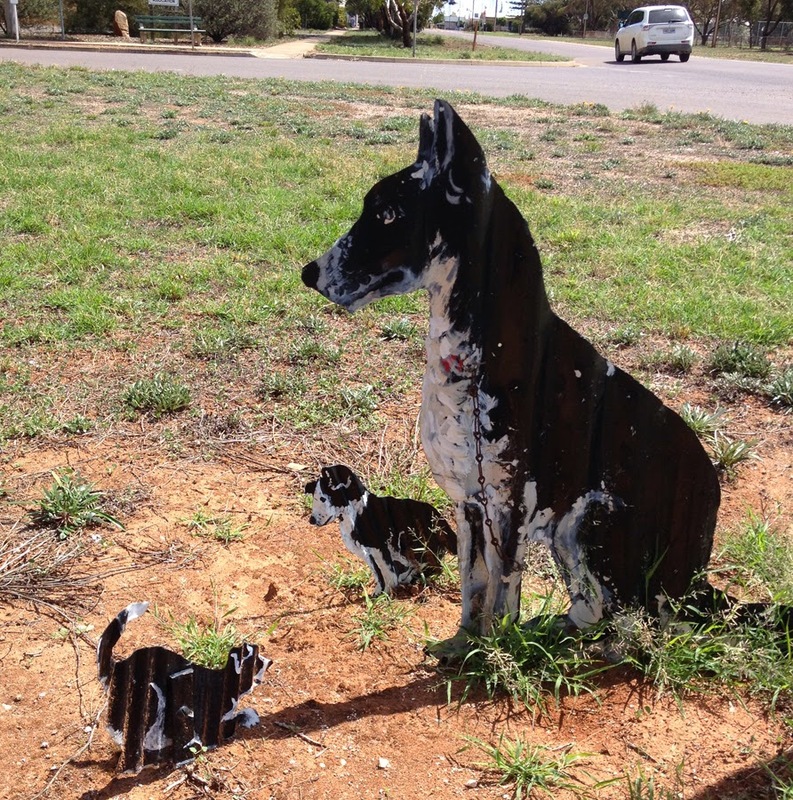 We thought we might stay at the free camp in Iron Knob, that was until we drove into town. 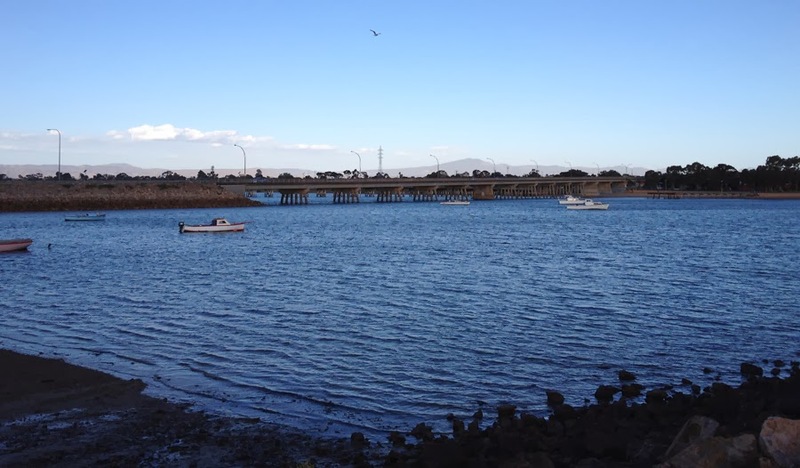 Oh my I don't think so, we drove in and straight out and onto tonight's destination Port Augusta. 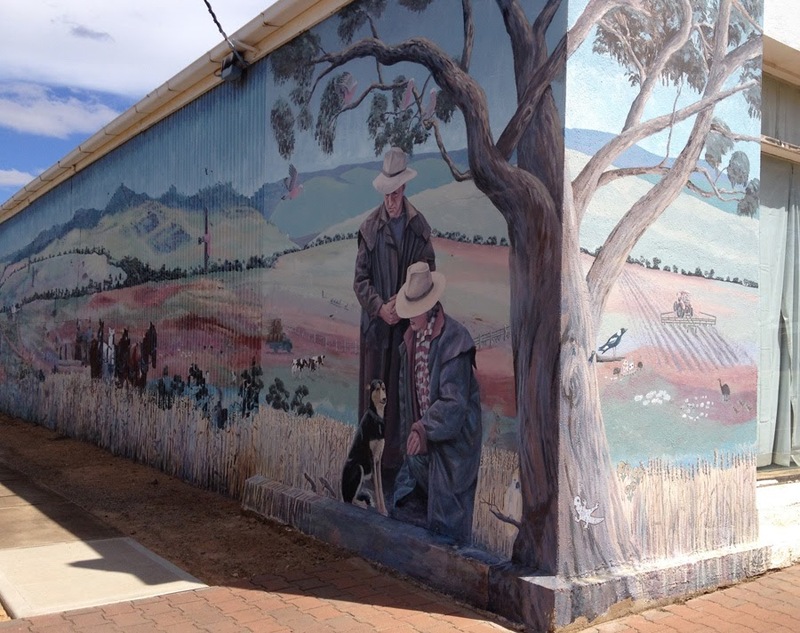 If you have been following our "Aussie Adventure" from its beginning you may remember back on May 10th, 2013 we stayed here just prior to heading off on our expedition up the centre of Australia. It's pretty exciting that we have completed a circle. As I look back on what we were like then, I get a smile on my face, we were so new and green when it came to all this "on the road stuff" and we were so excited. So as I sit here with the wind once again shaking poor Myrtle from side to side I feel a little sad that the Western Australia part of our adventure has ended. I have so many wonderful memories of the west that will stay with me forever. 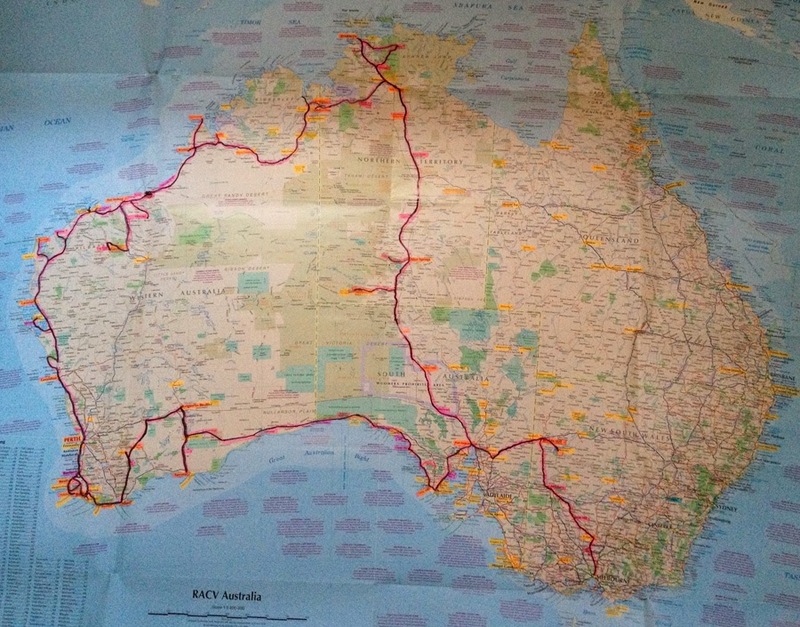 But we are still on the road for a few more months and tomorrow we head south onto the Yorke Peninsula to have some more adventures. Please continue to join me and I would love to hear your comments. My next post will be my 700th post. Wow when I first started writing my blog back on February 3rd, 2009 I never ever thought I would ever write 700 posts. So to celebrate my big milestone I would love to give away some gifts. As some of you would be aware I design and make jewellery. So over the next week everyone who leaves a comment on my blog or on my facebook post and mentions 700 will go into the draw to win a piece of my jewellery. There are three pieces in total. Please have a go and leave a comment.